The 2018 Annual Church Profile (ACP) is an important tool for your church, association, the state and national conventions. The data collected is used in many ways to measure the health of our congregations, and the effectiveness of FBC and SBC ministries. 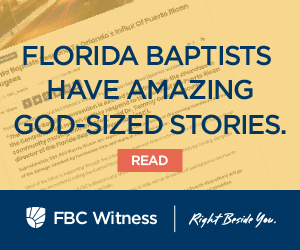 Contact your local association or the Florida Baptist Convention if you have questions. The due date for your ACP is 10/12/2018. Note: The Leadership Profile is open online all year long to make updates any time you have a change in leadership. You can also make leadership changes by calling (800) 226-8584 or emailing the change to mpatterson@flbaptist.org. The first box you see enter the contact person’s name. Click “Save Changes” regardless of whether you changed the name in the box or not. Choose ACP Statistical Profile to complete this year’s survey. When finished, Save, and mark survey Complete. Each congregation, whether church or mission, should complete an ACP Statistical Profile. If you church sponsors a mission, do not include figures from the mission on your ACP, however, do include any figures from satellite campuses. Gather the information from the leaders of your ministry areas. PRINT CLEARLY using a ballpoint pen. Typing is not necessary. Please do not leave any space blank. Use a zero (“0”) to indicate none/no data. Look over the ACP Statistical Profile and see that all blanks are filled in. Check all totals and make certain the sum of all items is correct. Make a copy of the ACP Statistical Profile for yourself and the church office. Mail or deliver your ACP information to the address below before October 12, 2018.